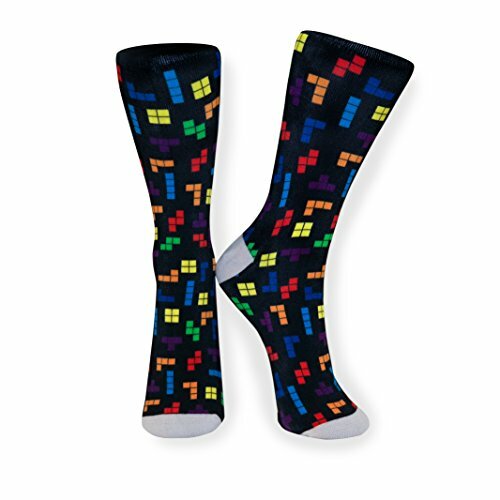 Pop Sqr's iconic and hilarious socks are eye popping, functional, and an exciting conversation starter. Wear your love of the 90's with pride! The Pop Socks are super comfortable and allow you to sneak a cheeky sense of style under your pant legs. The socks are light, breathable, and sweat wicking. And they have rad 90's fashion. Pop Sqr is fueled by our nostalgia, good times, and Pop Rocks. Why So Serious? Work. Workout. Wedding. These ultra comfy socks can do it all. It's liberating to be ridiculous sometimes. If you have any questions about this product by Pop Sqr, contact us by completing and submitting the form below. If you are looking for a specif part number, please include it with your message.